We’ve had posh chocolate, premium mixer drinks, artisan gin and craft beer – now ice lollies have become the latest target of a foodie makeover. Whereas the choice used to be standard fruit flavours such as strawberry and orange in bright colours and novelty shapes, a wave of new British food brands have begun serving up “gourmet lollies” aimed at adults, with adventurous flavours ranging from Earl Grey tea to alcoholic watermelon martini popsicles. The next big thing, the posh lolly experts predict, will be dipping them into shot glasses containing the same sort of alcohol for a particularly intense flavour hit. “Frozen is one of the markets that has not evolved,” explains James Rae, a co-founder of the London-based Pops, which has scored a hit with its alcoholic “premium popsicles”. The adult ice lolly market is one of the fastest-growing product areas in the ice cream market, with sales up 23% to £40m in the past year , according to Kantar Worldpanel, which tracks UK grocery sales trends. Much of the boost is down to the success of boozy ice lollies, with supermarket chains such as Aldi having already spotted the trend and launching its Gianni’s range of cocktail-flavoured popsicles. While British consumers eat ice cream all year round – the market has surged by nearly 10% to break through the £1bn sales barrier over the last year – it takes a heatwave to trigger a rush on ice lollies. According to sales data, ice lolly sales only really take off when the temperature tops 24C. Mass-market ice cream makers have also come under pressure as consumers seek healthier or more artisanal versions but new makers have flourished – such as Little Moons, with its Japanese-style mochi gelato balls, which can be skewered together to create a lolly. It is not only a UK trend. Unilever, the biggest ice cream maker in the world and the producer of Magnum, Ben & Jerry’s and Wall’s, blamed disappointing summer sales last year on competition from the low-calorie brand Halo Top, which has taken America by storm. “Since May we’ve not had chance to breathe,” Rae adds. 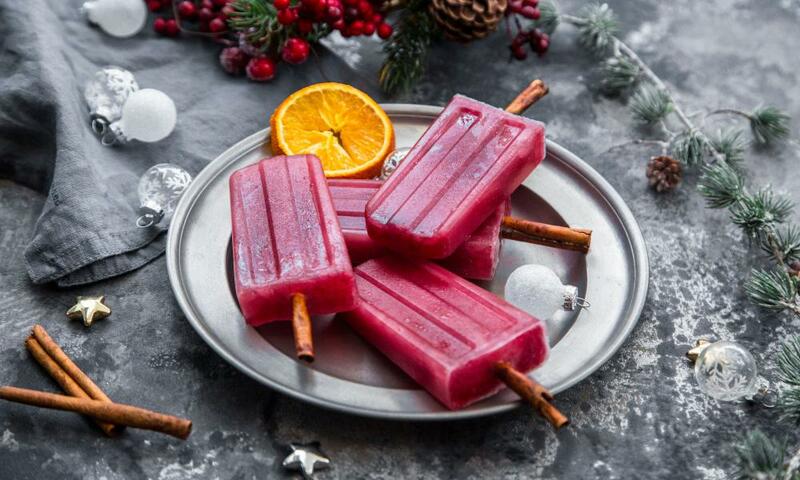 Ice pops sales have doubled this year and the company – whose financial backers include the Fever-Tree co-founder Charles Rolls and the gastronome Loyd Grossman – is forecasting sales of £3m for 2019 from a standing start four years ago. Tesco has just agreed to stock its Pimm’s-flavoured lolly. We asked three Guardian lolly lovers to taste and test some of the new posh popsicles.